Jimi Wanjigi: Raila Odinga reveals CCTV file footage showing Police implanted firearms at Jimi Wanjigis' residence. -Lawyer James Orengo - Bana Kenya News, Real African Network Tubanane. Nairobi Tycoon Jimmy Wanjigi came out from his strong room just after the NASA presidential flagbearer Raila Odinga visited his home. The NASA financier locked himself for 48 hours in his strong after he got information that he was to take to the police custody. 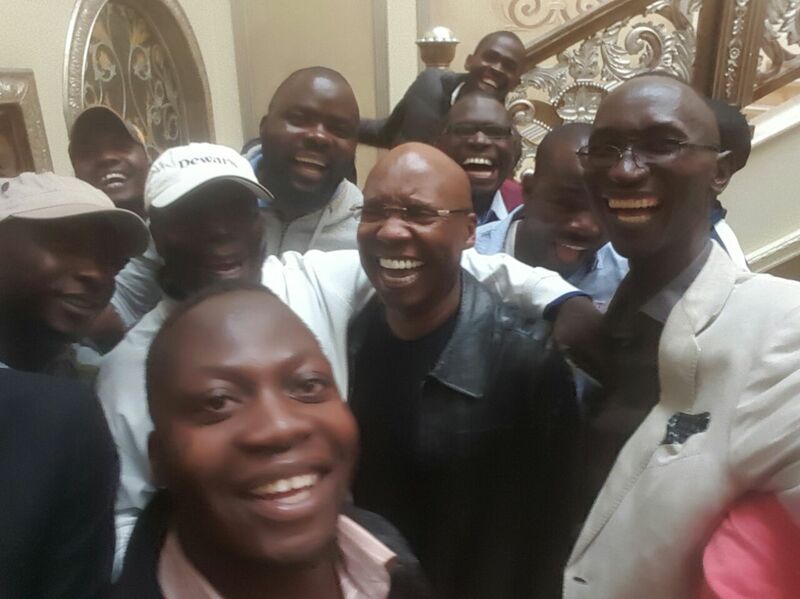 Businessman Jimmy Wanjigi has come out of hiding from his strong room after police left his residence in the late hours of Wednesday morning. Wanjigi had locked himself in what is believed to be a strongroom since Monday, October 16, when police raided his home in Muthaiga, Nairobi, in an operation that would last over 48 hours. A multi-agency team drawn from the elite Flying Squad, Special Crimes Prevention Unit and General Service Unit (GSU) could not manage to get Wanjigi out of his hideout. They, however, left a trail of destruction after trying to force internal doors open using sledgehammers and bolt cutters as well as dismantling some of the surveillance cameras mounted at the premises. It is also alleged that what police recovered in his residence came with the Police as the CCTV footage shown to Raila Odinga revealed. A footage that shown the Police came with the firearms and then recovered them by themselves was delivered to the Opposition leader as evidence as Jimmy Wanjigi through his lawyer James Orengo file a case against the invasion. NASA leaders are expected to address the injustices done to Wanjigi and many others in Kenya including the Former IEBC IT expert Musando on the Mashujaa day. Raila Odinga said that the Demonstrations will continue next week after the Principals give out their directions.